This OSHA complaint self-contained sink comes standard with a 17-gallon fresh water tank (providing nearly 300 uses on a single fill-up) and 19-gallon grey water holding tank. The unit operates through a foot pump for hygienic, hands-free operation. A great option for outdoor events. 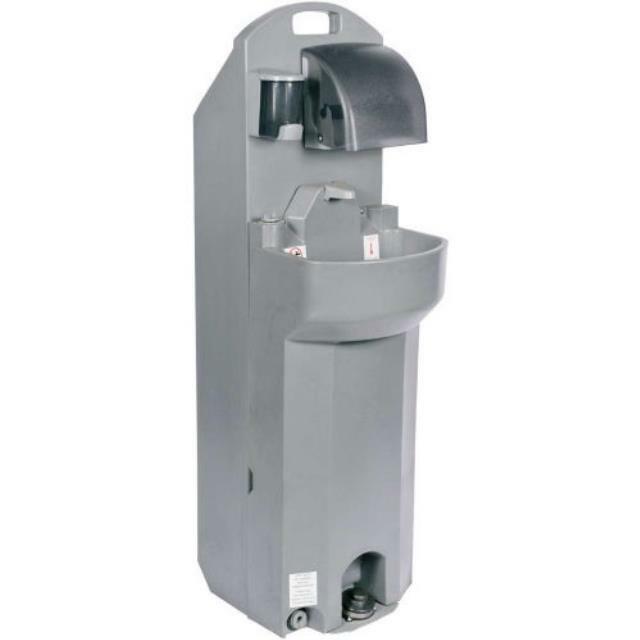 Liquid soap and paper towel dispensers (500 towel capacity - 1 roll or 500 single-fold towels) and 30oz soap dispenser. Paper towels and soap are not provided. * Please call us for any questions on our sink handwashing station rentals in Naples FL, serving Southwest Florida.